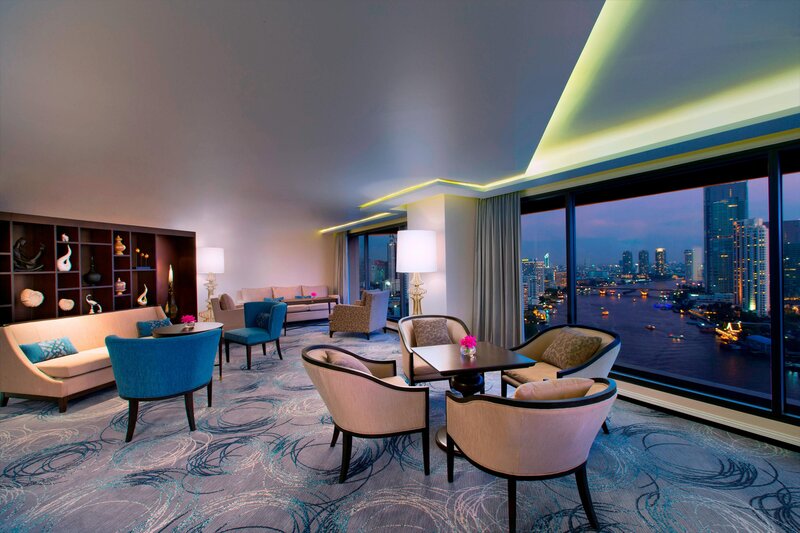 Discover Thailand&apos;s iconic capital city from the opulent comfort of Royal Orchid Sheraton Hotel & Towers. 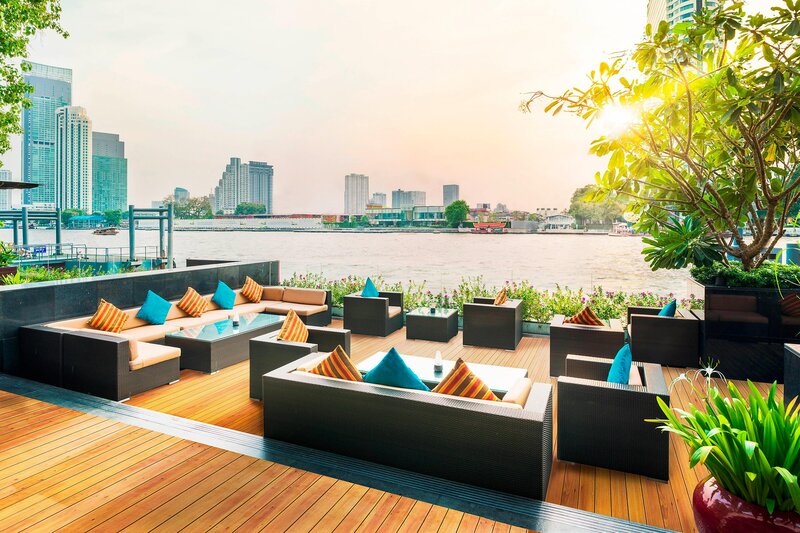 Situated riverside on the enchanting Chao Phraya River, our 5-star hotel is truly distinctive. It begins with our luxurious guest rooms and suites, all of which showcase sweeping, unobstructed riverfront views, plush bedding and sparkling marble bathrooms. 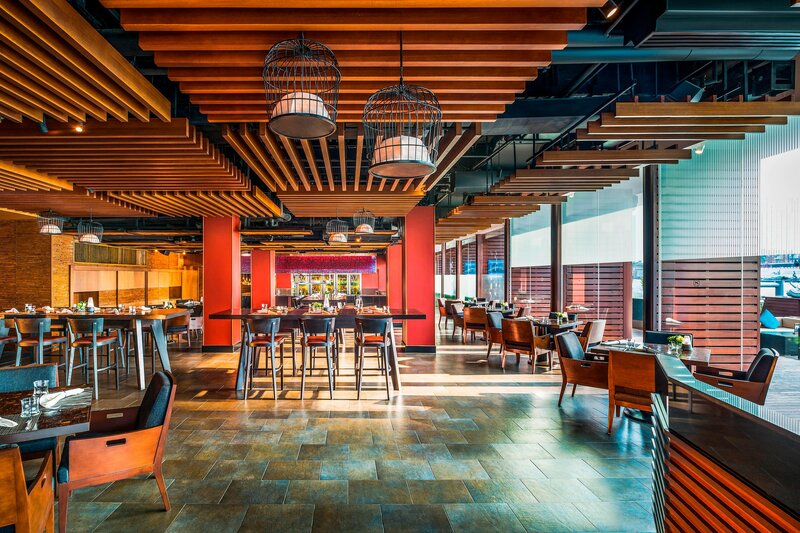 After a refreshing night&apos;s sleep, dine at one of our several on-site restaurants and bars, where the flavors of Thailand are brilliantly on display. Two resort-style swimming pools beckon you to unwind al fresco with a cocktail in hand; alternatively, spend your time relaxing with a signature Thai massage at The Spa at Royal Orchid Sheraton. 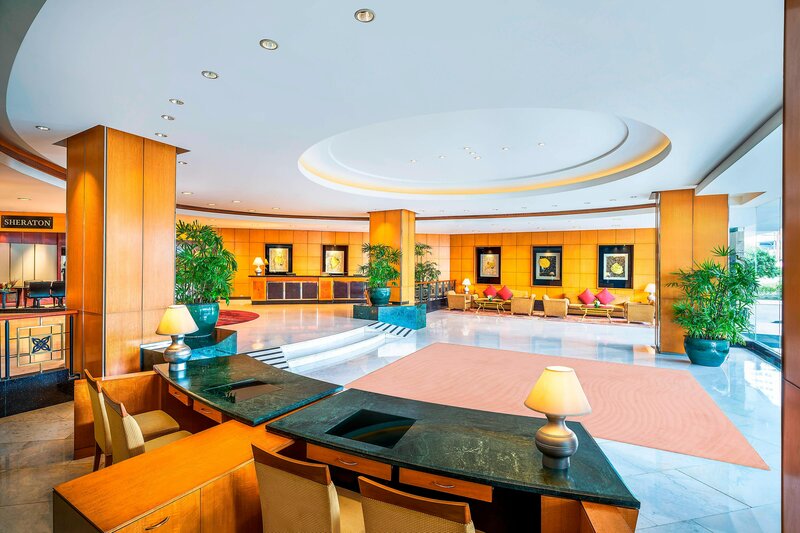 Other hotel amenities include lush meditation gardens, tennis courts and a complimentary shuttle boat to the Bangkok sky train and ICONSIAM shopping mall; we also offer over 43,900 square feet of riverside venue space, perfect for conferences, weddings and other special events in Bangkok. Royal Orchid Sheraton has a thoughtfully designed with the finest contemporary Thai style from the very first moment that guests walk into our Lobby to river view guest rooms and club lounges. 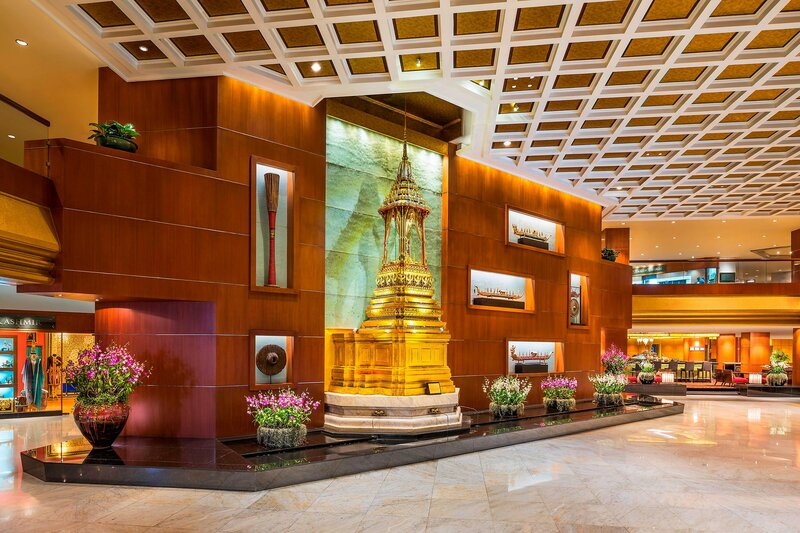 The gold and teak classically styled lobby is an inviting space with water features, daily musicians playing Thai instruments and a replica of Emerald Buddha, the most sacred Buddha image in Thailand. 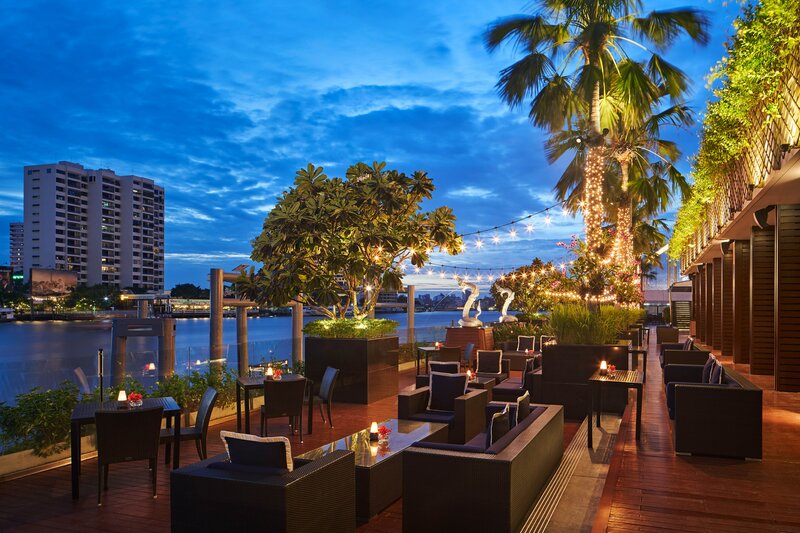 Conveniently located next to Chao Phraya River, the River of Kings, Royal Orchid Sheraton is easily access to all modes of transportation with two public piers and a private pier. The Royal Orchid Sheraton&apos;s convenient location connects guests within minutes to shopping malls, entertainment areas and famous tourist attractions. Royal Orchid Sheraton Hotel & Towers is the ultimate place to celebrate special occasions or just to get together with friends and families. 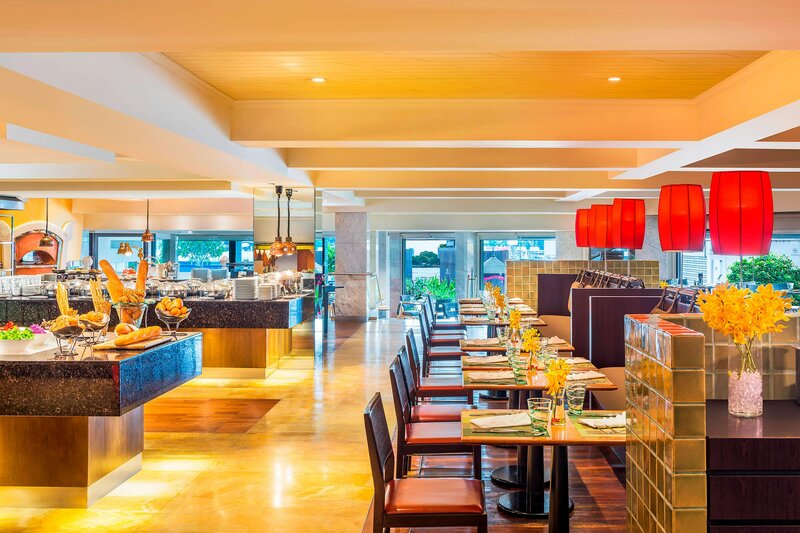 The hotel is home to four award-winning restaurants and bar with panoramic river view offering a wide range of cuisine including Finest Thai, Continental, Italian, seafood, endless choice of buffet as well as expertly mixed cocktails and fine wines. In an exquisitely authentic setting featuring a hand-carved teakwood pavilion and floor seating, Thara Thong Restaurant offers a royal Thai cuisine served with the kind hospitality and graceful customs of Thailand. 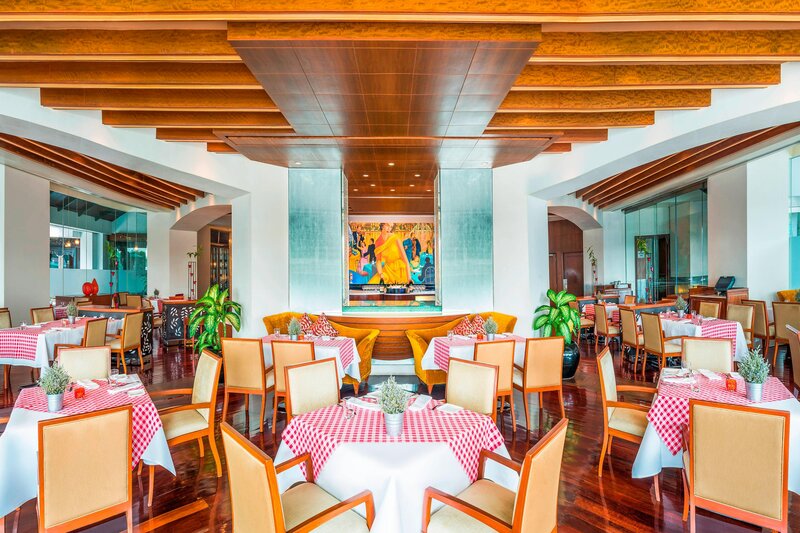 While dining, guests can enjoy the sound of traditional Thai instruments floating throughout the dining room as well as classical Thai dance performance available. Thara Thong is the perfect restaurant for first-time visitors to the city with the traditional cuisine encapsulate with Thai culture. Royal Orchid Sheraton offers finest contemporary Thai style decoration with a floor-to-ceiling windows in all guest rooms. All guestrooms are guaranteed the stunning river view of Chao Phraya River. 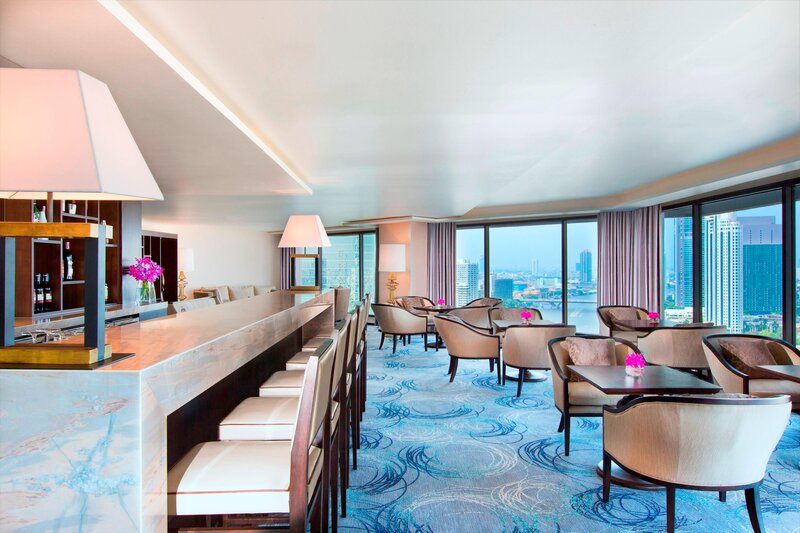 All suites rooms also offer the access to Sheraton Club Lounge with 180 degree of river view, considering to be the best river view in Bangkok.